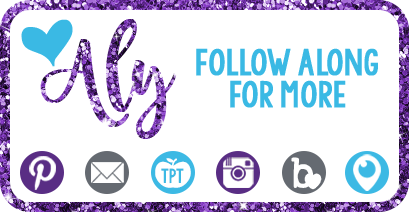 I have been an avid blog reader, instagrammer and facebook post reader for a few years now. I have read dozens and dozens of blog posts that bring tears to my eyes. You know the ones. 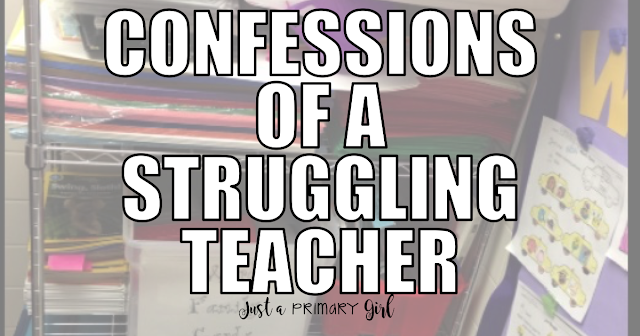 The feel good stories about why we became teachers. The ones that make you get up each morning and battle another day. I love those posts! They really help me to refocus when I am down. They help me remember that I have a purpose, and that without me, things wouldn't be the same. There would be lives that would be forever changed without me. I also read the ones that share all the pinterest perfect photos and classrooms that can make you a more organized teacher. The ones that make you go to target and spend all your money on storage. I scroll through memes and instagram pictures that share inspirational quotes about our students, teaching and how to keep with it. I read them and feel like Rocky Balboa climbing those stairs. I get out there and work another day. I am thankful for those posts. Then there are the photos of teachers with their arms wrapped around students, smiling, so beautiful. Every hair is perfect. I see flawless work, and fun activities in classrooms that I wish I had time to do. I see cutesy crafts and guided reading activities that BLOW. MY. MIND. Am I alone in what I see? Do you see it all too? Sometimes after I see all these things, I start to wonder, what is wrong with me? Why can't I do all of this stuff? Well, I am here to tell you that this stuff is NOT reality all the time. These are SNIPPETS people, just sheer seconds in time. No one posts the picture of them shoveling guacamole dip in their mouths, while sitting on a chair with their muffin top hanging out. No one posts that picture, because it makes them look bad. I mean how many of us put our hands on our hips before taking a picture to get the grandma arm fat fixed. (Notice how I said us, I just did it yesterday in a photo). We want our best version of ourselves, our students and our classrooms out there. You have to realize that this perfection and sunshine you keep seeing DOES NOT exist all the time. I do many of those things! I am here to tell you, I AM EXHAUSTED. I am tired of trying to keep up with all of these classrooms that look like they are from the Pottery Barn catalog. Now, my classroom is very organized. It has taken me years to do so. While it looks pretty in pictures, it is still a hot mess 80% of the time. I work my tail off. I work through the summer, during breaks and at home when I am supposed to be relaxing and spending time with my loved ones. I spend my own money on my classroom. I am constantly looking for the best way to reach my students. I have had so many ideas, made something, or bought something but forgot to implement it because I was busy laminating something for tomorrow while I was eating my lunch in the copy room. There are so many things that I don't have time to do. 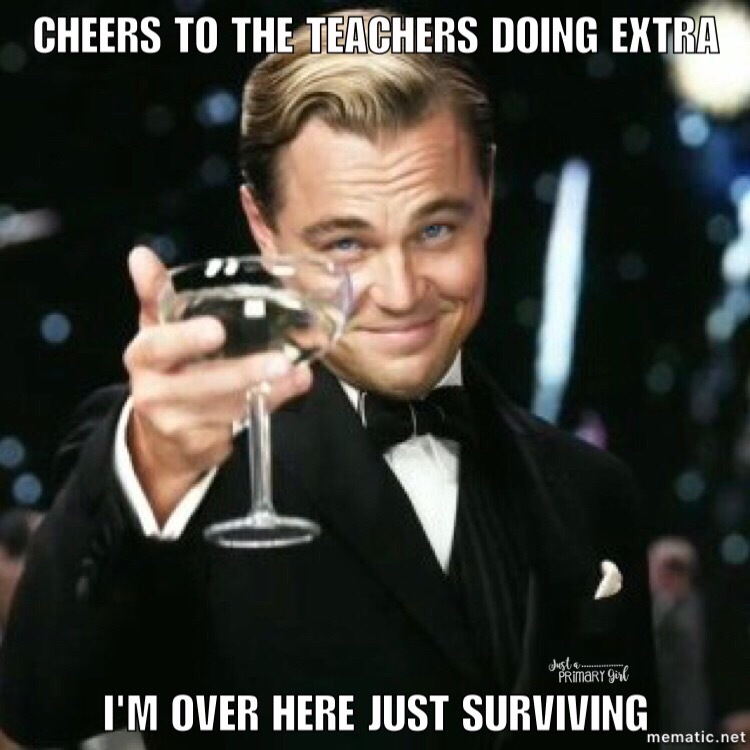 I don't have time to do these things because I am teaching surviving. I have piles and piles of units I have purchased and had the highest hopes of using, but who has time to organize it all? There are activities I have wanted to do that ended up filed away because we ended up walking the halls practicing our "hallway manners". There are days that they need extra recess because they just can't sit still. Sometimes, it's because I need the break. There are things that I flat out refuse to do - Elf on the Shelf and prize boxes to name a few. THIS is reality. Teaching is NOT always rainbows. Teaching is hard. 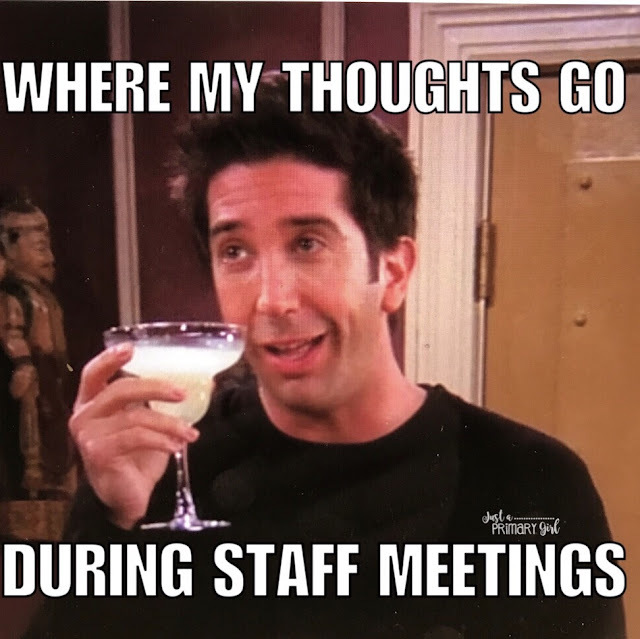 I LOVE my students, but if we are being honest, there are also times I DON'T like things they do very much. While I am being brutally honest, there are times they don't like me very much. There are days that I wish I could change my name. There are times that I wonder if I have reached anyone. Some days, my kids follow directions. Other days, they don't follow directions unless I repeat them over and over again - like a broken record into their sweet little heads ALL. DAY. LONG. Even then, there are three kids NOT doing anything near what I asked. The amazing videos that I post on instagram are trimmed right around the part that I say "Sam, why are you licking that? ", or "Sweetheart, boogers are not food?" I love my kids, but they are six and seven years old. They aren't perfect. My classroom isn't perfect. I am not perfect. I am real, and I am struggling. I am struggling to get papers graded. No matter what I read about to make grading easier. I am struggling. While others are sharing their seasonal bookshelves, I am struggling to find time to put the apple books away from September. 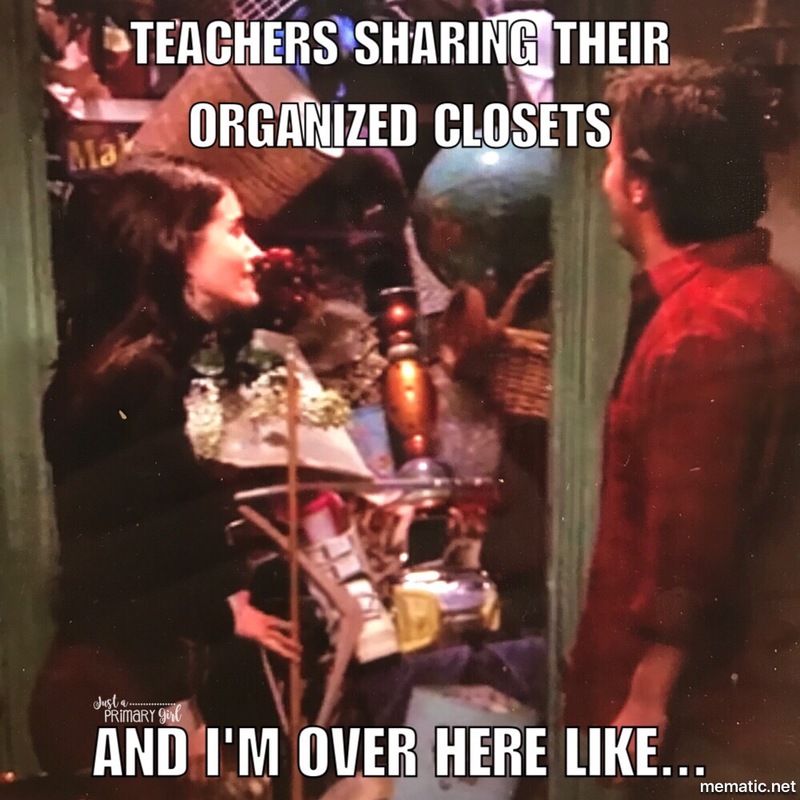 While there are teachers sharing their organized filing cabinets, I am struggling to find where I put the child study folder that is due at the end of the day. 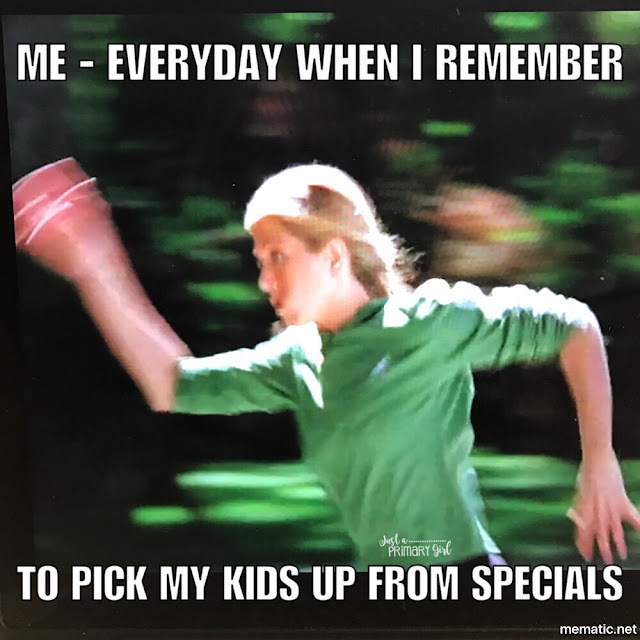 While other teachers share how quietly their students transition, I am struggling to pick my kids up from P.E. on time - daily. While teachers sit and take notes at meetings, I am thinking of what wine I am going to buy after. I am here with you. I get it. I live it. You are NOT alone. Remember that what you see in a picture and what actually happens all the time are two totally different things. It is important to read all of those heart warming blog posts and motivational memes. They allow us to realize that what we do is special. Keep working at being organized, but, remember it is OK to be tired. It is ok for things to NOT be perfect. It is OK to be - just surviving. Break is just around the corner. Thank the sweet baby Jesus. Thanks so much for your honesty. I feel exactly the same way and sometimes wonder what I'm doing wrong because I am always busy doing teacher stuff, yet the to do pile just gets bigger. I'm glad I'm not alone. Hang in there, it's almost Christmas break! Thank you for writing this. I often fall in to the same trap. I never feel like I am as good as my colleagues yet I am there earlier and later than most of them. I also leave with my arms overflowing with more that needs to done. Let's not even talk about how I spend my weekends! Thank you so much for letting me know I am not alone! Bless you! Thank youuuuuuuuu!!!! !❤️❤️❤️ I am not alone in this struggle!!! I love your post, I sometimes try to be everything and I can't. Thank you for putting into words how I feel. we are trying and doing all we can. Oh yes!!!!! I LOVE this post! Thanks so much for keeping it real! 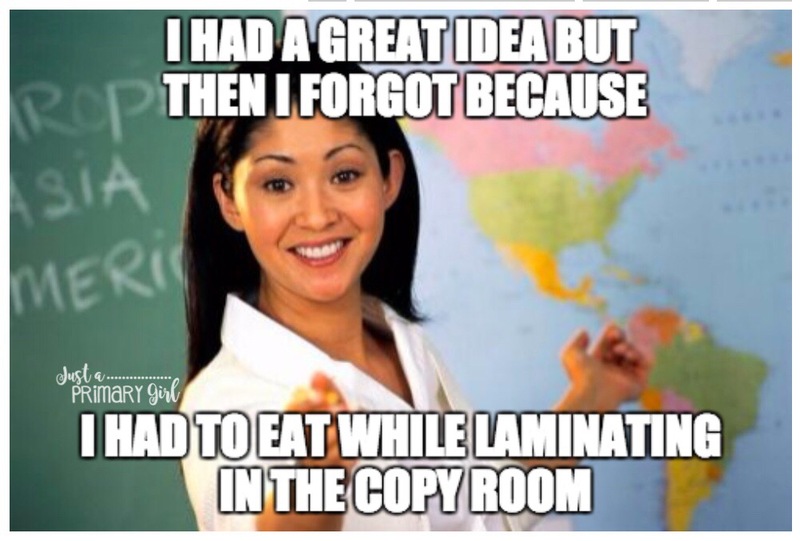 I especially love when you said "I have had so many ideas, made something, or bought something but forgot to implement it because I was busy laminating something for tomorrow while I was eating my lunch in the copy room." I can't tell you how many times something similar has happened to me! Or just buying amazing things on TpT only to finally have them ready...after the holiday or topic is over! At least we are ALWAYS trying our best! Happy Holidays! Thank you for being real!! I feel like I'm on the struggle bus and it's nice to know I'm not alone!! Yesssssss!!!! I agree with all of it!!!! Thank you for this post!!!! Thank you so much for your honesty. It definitely helps. Everyone has the same amount of time in the day. A "pinterest-ready" classroom means one of three things - either the teacher's time is focused on appearance rather than substance, the teacher is someone who naturally lives on less than 4 hours of sleep at night and spends that time in the classroom, OR that teacher has a tribe of serfs (e.g. family members/friends) who do all the legwork for that look. Wow! This was such a great read!! I feel like you wrote this about my life!! Thanks for being so honest! I'm a 28 year veteran still struggling with these issues! I had to delete my instagram and stop watching classroom reveals! We are all perfectionists and we are never happy! Here's some advice: play with your own children instead of working in your classroom. Mine are adults now and I feel like I was only a mom in the summer (when I wasn't taking classes!) :( you can't get that time back! Whahaha! I feel exactly the same - especially about the Elf-thing and the boxes. Couldn't believe it when I read it. You made my day! I have stopped sharing the videos I make of the millions of special moments (that first fluent sentence, the difficult movement, remembering something ordinary . . .) because, to people who only show their best, mine seem pretty boring. But I still think this is the most wonderful job on earth. 36 Years now. Yes, God! Thank you so much for keeping it real and honest! I know I'm not alone, but it's nice to hear it from others. 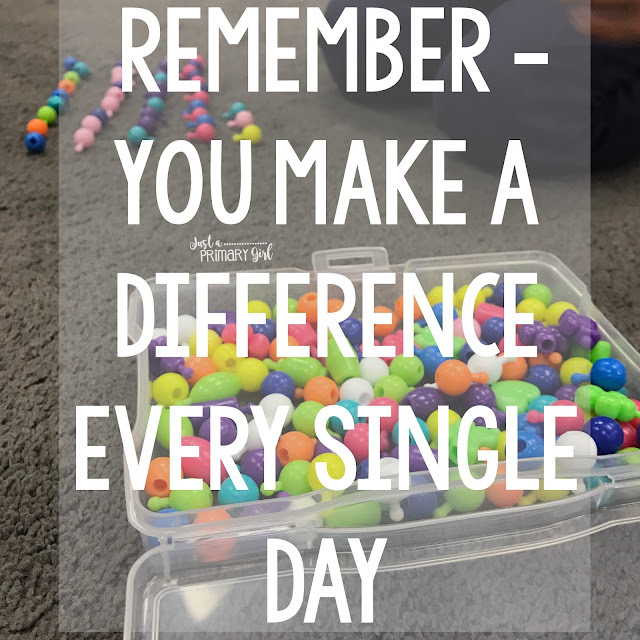 The most important thing I can tell you as a teacher who took 10 years off for "maternity leave:" The children will remember how you made them feel. That's it, that's all. Your face and name will likely be forgotten, but the feeling they had when they were in your class....that will remain forever. My motto this year: "Let your observations take priority over your expectations." When I am struggling I make myself sit and observe. It really does help. Wow. You seem so perfect to me. This is refreshing to hear.